Do you have an old injury that just won’t heal? Maybe you’re dealing with chronic pain in your joints, muscles, or tendons? Our bodies have an amazing ability to heal themselves, but sometimes they shut down the healing process a little too soon to experience complete recovery. That’s where prolotherapy can make a big difference. 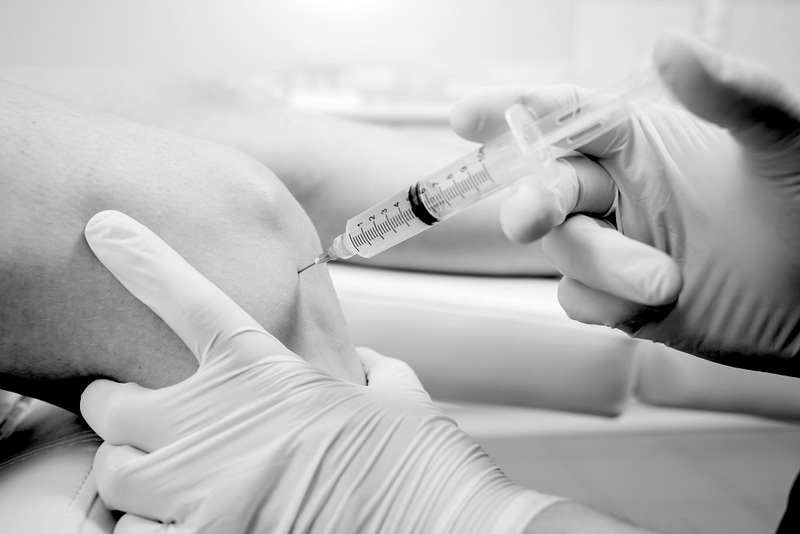 Prolotherapy, also sometimes referred to as “proliferative therapy,” is an injection-based therapy that uses a special formula of irritating agents to stimulate the body’s natural healing response. Before beginning any regenerative medicine treatment, we will conduct a thorough examination and to make sure the procedure is right for you. A typical treatment involves using a long, thin needle to inject a solution to several points around your target pain area. This solution usually contains a local anesthetic and a concentration of dextrose. The precise dosage will depend on the affected region of the body and severity of the condition. Injections take place into a joint space, ligament or tendon insertion point. To ensure accuracy, our medical staff use an ultrasound or fluoroscope to precisely target the injection. Most appointments take around 30 minutes, and many patients are able to resume their normal level of activity very soon after the procedure. The most common side effect is mild injection site pain within a few days of the injection, which can usually be treated with acetaminophen. NSAID pain relievers are usually not used because of their tendency to reduce inflammation in the treated area (decreasing the effectiveness of the prolotherapy). Depending on their needs, patients usually have between two and six courses of treatment, separated by about a month between visits. Save up to 20% off prolotherapy, PRP and stem cell therapy for new patients that book an evaluation before February 28th! Ask at the front desk or call for complete details. Call us at (865) 769-9685. Follow us on Facebook, Twitter, or Instagram, or subscribe to our Newsletter for more information during Regenerative Medicine Month.